These Strawberry Banana Granola Bars are super easy and make for a perfect and healthy snack. My kiddos and I are huge fans of Quaker Chewy Bars. They can be quite pricey and full of preservatives. I made it a priority to make more homemade items as part of my New Years Resolutions for 2015. I quite often make our Homemade Peanut Butter Granola Bars. 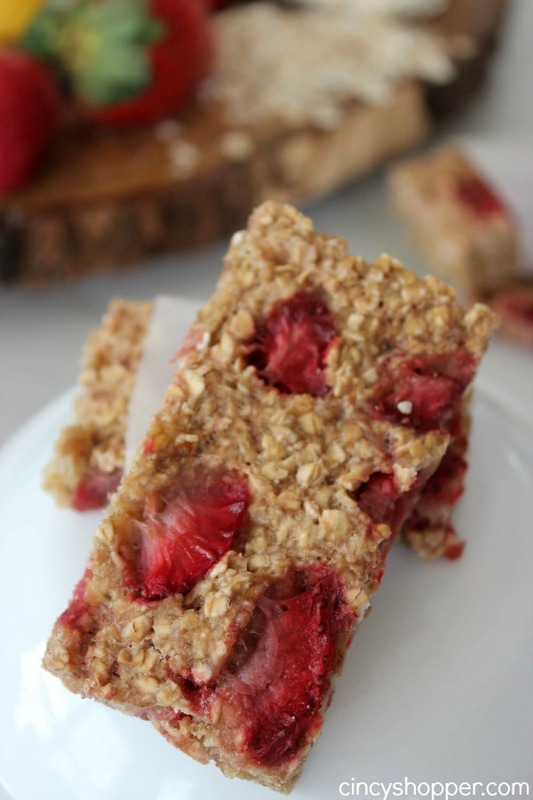 Granola Bars are perfect for a lunchbox addition, a breakfast on the go or a snack. I am looking for ways to sneak in more fruits for myself and my kiddos this year. 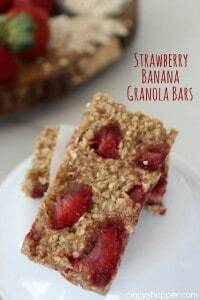 So yesterday I whipped up a batch of Granola Bars loaded with strawberries and bananas. YUM! Strawberries and bananas are two of my favorite fruits. 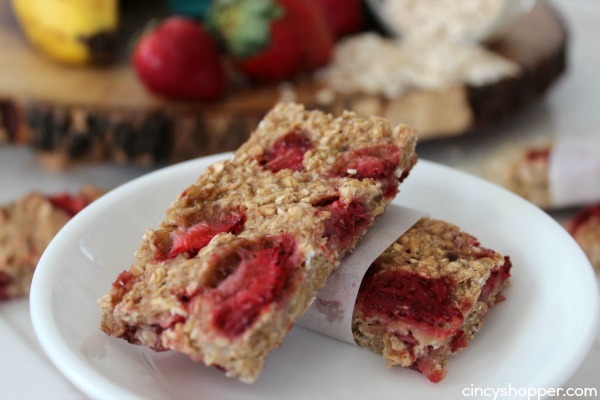 These granola bars could be made with just about any of your own favorite fruit combinations. The bananas are perfect for making the oats bind together so.. a perfect fruit to add. 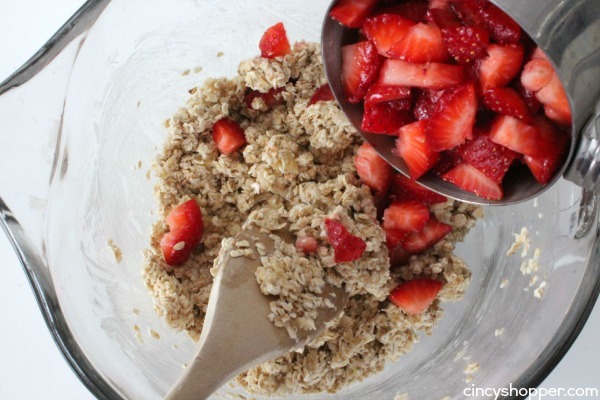 The ingredients needed for these simple granola bars are quite inexpensive. Plus not to many ingredients are needed. 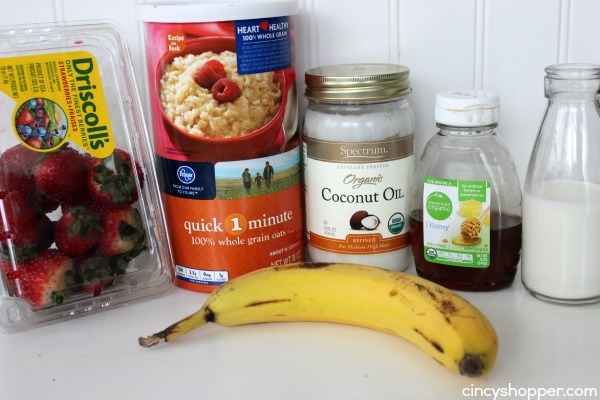 Grab your oats, honey, milk, coconut oil, banana and strawberries. I lined my pan with parchment paper so they would be easier to cut into bars. Also since the strawberries provided quite a bit of moisture I needed to bake for around an hour. If you are using a different fruit that does not produce as much moisture, you will not need to bake for quite as long. Combine the coconut oil, banana, milk and honey in a bowl. 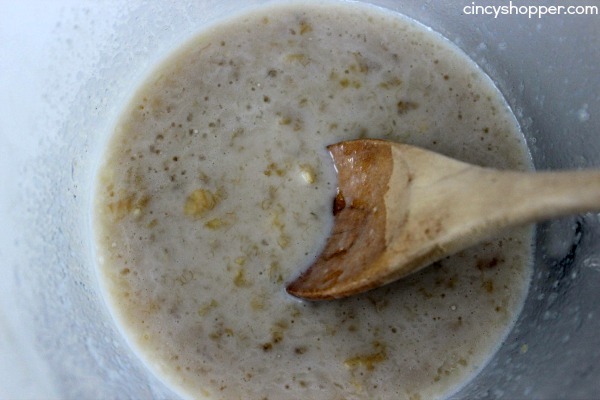 Add the oats and mix until uniformly coated. Bake for about 60 minutes or until firm. Spray a 9?9 baking pan with cooking spray. Bake for 60 minutes or until firm. is therea way to store these? freeze even maybe? Amazing! Can these be stored in freezer safe bags? !